The *Flying L Guest Ranch* was originally opened by a retired WWII fighter pilot - the pilot's "L" shaped strip being the inspiration for the resort's name. Today, the Flying L is a Western-style ranch offering traditional hospitality to families and honeymooners alike. The Lone Star Lagoon and fitness area recently opened in the summer of 2007! Rustic suites include fully-equipped kitchens, jet water showers, and patios and balconies overlooking the championship golf course! 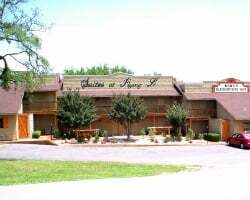 For more information about the Flying L Guest Ranch, visit www.flyingl.com. Western ranch themed resort with many amenities! Week 39! Buyer may receive a title fee credit, inquire for details! Enjoy unforgettable family vacations in Texas! Floating usage! Buyer may receive a title fee credit, inquire for details! Pick your dates with an annual floating week! Buyer may receive a title fee credit, inquire for details! Price Negotiable! Motivated Seller. Western ranch themed resort! Annual floating week! Buyer may receive a title fee credit, inquire for details! Annual floating week! Ideal resort for outdoor lover's! Buyer May Receive A Title Fee Credit, Inquire For Details! Annual floating, red season week! Outdoor lover's are welcome! Buyer May Receive A Title Fee Credit, Inquire For Details! Peaceful resort! Enjoy any week at this year round resort! Buyer May Receive A Title Fee Credit, Inquire For Details! Floating week of your choice each year at this unique western-style ranch! Buyer may receive a title fee credit, inquire for details! Fun country setting in Texas! Activities onsite from golfing, to horseback riding & more! Buyer May Receive A Title Fee Credit, Inquire For Details! $5,500 or best offer. 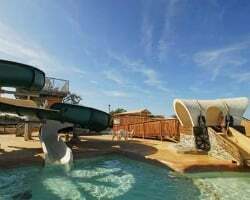 Splash in the water at the Lone Star Lagoon onsite, golf, restaurants and more! Recently reduced! Make your best offer today! Buyer May Receive Title Fee Credit, Inquire Today! Buyer receives 12 free wristbands for unlimited use of all the amenities! Buyer may receive a title fee credit, inquire for details! 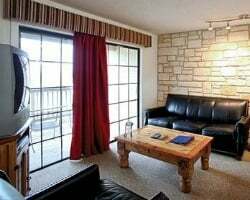 Lovely resort located right in the heart of Texas Hill Country! Enjoy the onsite golf course and water park! Finely appointed resort in the heart of Texas Hill Country! Week 26 usage! Buyer may receive a title fee credit, inquire for details! Biennial even usage in a floating week! Enjoy unforgettable family vacations in Texas! Buyer may receive a title fee credit, inquire for details! Lovely accommodations with plenty of amenities to make this your home away from home! Buyer may receive a title fee credit, inquire for details! 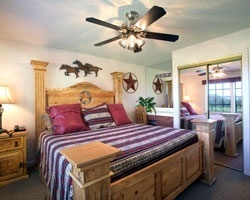 Comfortable resort located right in the heart of Texas Hill Country! Annual floating week! Inquire for details! Come create memories at this western ranch themed resort! Buyer may receive a title fee credit, inquire for details! Country Texas setting with many onsite activities! Floating week! Buyer may receive a title fee credit, inquire for details! Peaceful year round resort! Floating week! Buyer may receive a title fee credit, inquire for details!